Muscovites have in recent years become increasingly fashionable summer vacation on the river. 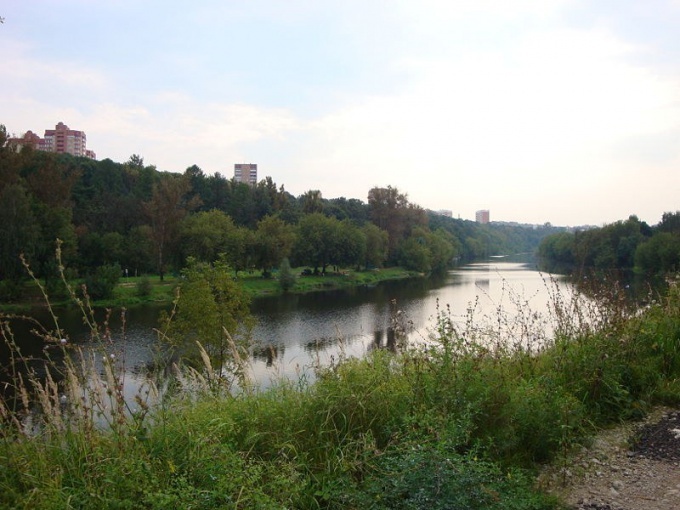 But since the purity of the Moscow river, many of the major concerns that people tend to rivers is smaller. For example, the popularity is gaining Pakhra. If you go to Pakhra on the bus, then sit on it near the metro station "Domodedovskaya". On route No. 439 have to get off at the stop "roller Coaster" bus # 466 — at the bus stop "Village Yam", flight No. 404 and No. 510 at the station, "the Village of Kolychevo," and the bus №367 — at the stop "Poselok Volodarskiy". In all cases, the road from the metro station "Domodedovskaya" to Pakhra takes about 45 minutes. And before Pakhra can be reached by bus, which is five times a day departs from the Shchelkovo bus station. Get off at the stop "Village of Yam". This road will take approximately 1 hour and 20 minutes. There is an opportunity to get to Pakhra taxi. For this we need to reach the metro station "South". And then take a route taxi №406 or 407 and get off at the stop Pakhra. Net time in a taxi when no traffic will be approximately 25 minutes. The most common form of travel to Pakhra — by car. There are many options for the trip. According to the first, it is necessary from the ring road to taxi on the Novoryazanskoe highway, drive Lyubertsy, October the Ostrovtsy, then turn left and Volodarsky highway to get to the Pakhra. The second option is to move on the Egorievsk highway, drive Lyubertsy, and then in the Old Ryazan highway, Novorizhskoe highway. Next come October, Ostrovtsy and again volodarskoe highway that goes to your destination. There is a third option of a trip from Moscow to Pakhra. From the ring road to turn on Kashirskoye highway, drive about 20 miles, passing several villages. And then Kashirskoye motorway to turn to volodarskoe and go to Pakhra. In all cases, the road from MKAD to Pakhra will take no more than 45 minutes. However, provided that traffic is heavy congestion. In this regard, the most prosperous appears to be the second option on the Old Ryazanka congestion is not very much. But Kashirskoe and Novoryazanskoe highway often suffocate in traffic jams.